Once again, it’s time for Congress to feel its way around the series of tubes we call the internet. Today, Twitter CEO Jack Dorsey and Facebook COO Sheryl Sandberg will answer questions from the US Senate Intelligence Committee about election security... and whatever else pops into their heads on this fine morning. Today’s hearing will be especially worth watching because Dorsey has been wanted on Capitol Hill for some time but has so far been elusive. Twitter has previously sent its general counsel in his place. Google tried to get away with pulling that move this time around, but the committee insisted that it needs someone from the c-suite to be present. In the search giant’s absence, an empty chair will act as a placeholder, and the company sent a written testimony by the company’s senior vice president of global affairs, Kent Walker, yesterday in lieu of actually attending the hearing. Walker said he’d be in Washington if he’s needed. 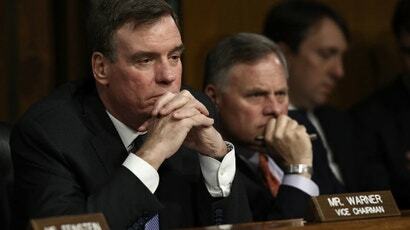 Twitter and Facebook have already prepared their written testimonies for the Senate Intelligence Committee, which are traditionally read at the beginning of a hearing. Dorsey has a double date today, as he’ll also be appearing before the House Energy & Commerce Committee to address concerns over accusations that Twitter is biased against conservative users. In his prepared remarks for that committee, he will unequivocally deny any intentional political discrimination happens at his company. Sandberg sticks to the topic of increased election security in her statement, saying that Facebook is doing everything it can to prevent foreign interference on its platform and urging lawmakers to work more closely with the tech industry. Mark Zuckerberg, Facebook’s co-founder and CEO, published an op-ed in The Washington Post yesterday echoing her sentiments. As we’ve seen with tech congressional hearings over the last year or so, everyone tends to get sidetracked and play whatever political games are most advantageous for the day. No one will come out looking all that great. Google was probably smart to stay home. You can catch up live streams of the Senate Intel hearings which started at 11:30PM AEST on C-SPAN, PBS or the committee’s website. Dorsey’s solo time with the House can be found on the Energy & Commerce Committee’s website, which was scheduled to start at 3:30AM AEST.